IT Girls in the Preview Magazine! 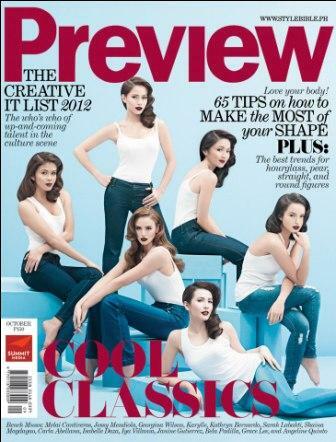 Today' hottest IT Girls of the country were reunited in the cover of Preview Magazine for their Novembver 2012 issue. Here are the said cover. Can you name all of them?! Lee Min Ho's Bench Billboard! CREED Live in Manila This November!